Nun: Girls who have visitors, follow me. Gabrielle Chanel, 10 ans: Come on. Come on, let's go. Adrienne Chanel, 10 ans: I don't want to. Q: How did Gabrielle Chanel get the nickname 'Coco'? Q: What breed is Etienne's dog? Q: What became of Coco's sister Adrienne? Audrey Tatou has had a heck of a time maturing from her astonishing role in Amelie (2001), and if she showed her young true self better in He Loves Me (2002), she faltered badly in The Da Vinci Code. Now, playing the young Coco Chanel, she seems to have some solid footing. Oddly, it is partly by playing a part that requires seriousness, even a dour gloom. It's a solid role and a good performance. 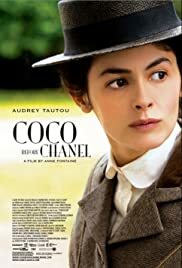 The idea of the story is odd, in a way, because it shows very little of those turning points in Coco Chanel's early career as a fashion maven (and this is what we really are dying to see). This really is before Chanel, the brand, and at first it comes off a little routine, showing the young years, and her trying to get out of having to do silly song and dance acts. Eventually she moves up and meets people of influence (the two always go together, don't they? ), and turns a corner by making hats for some well off women who have taken to them, and to her. What makes the movie interesting is Chanel's relationships with other men, two in particular, and in the general libertine scene she found herself joining, if not always liking. She does find love, maybe twice (one more paternal, replacing the father who abandoned her as a child). And all three male actors are spot-on believable. As is Tatou. 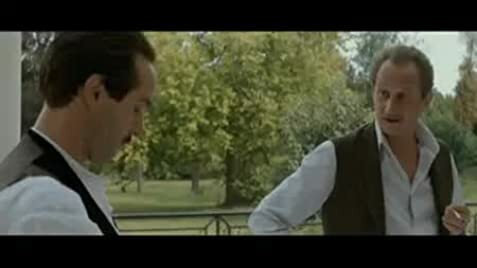 The whole affair is interesting but with little magic or surprise. It's well made and well paced and you won't get drowsy, but expect a routine exploration. And learn something about a truly self-made woman who would change the look of the Twentieth Century, head to toe.